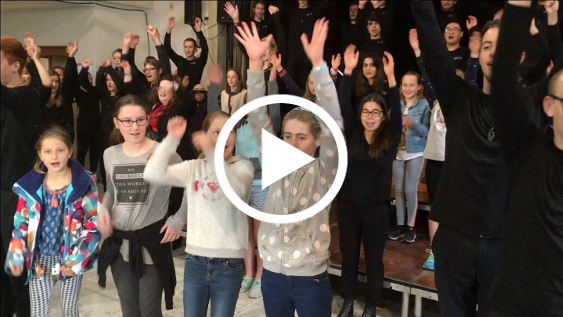 The work of the New Zealand Youth Choir and VOICES NZ inspires thousands, and reaches around the globe – this year alone we travelled to the far reaches of New Zealand, around Europe, and in particular to Le Quesnoy in France for the WWI centenary commemorations. We sang under the geyser in Rotorua, workshopped with local schools, performed with inmates at a South Auckland Women’s prison, performed a new New Zealand commission with The Kings’ Singers, taught a French choir Pokarekare Ana and flash-mobbed at Hamburg Railway Station – and that is only the tip of the iceberg. Check out our 2018 highlights on YouTube here. Our choirs make many hearts sing and sprinkle that Kiwi charm wherever they go – all possible thanks to our generous supporters. They have helped put New Zealand choral music on the map and are an important part of our country’s musical tradition and future. This coming 2019 will be no exception and preparation is underway for another great year of singing. Your donation will literally SING in 2019! Donations of any level are welcome and because we are a registered charity, donations are tax deductible. You could even consider it a Christmas gift! Whatever you choose, know that your support will go straight to our choirs to nurture young singers and train advanced voices to deliver the excellence and beauty of ensemble singing to New Zealanders and the world. To find your choice of donation click here.